I made this graphic for Facebook, but I actually really like how it turned out, so I’m posting it as a portfolio piece. A couple of people who have been truly inspiring over the years. Rock and roll will either kill you quick, or it will be a fountain of youth. It seems like there is no middle ground. 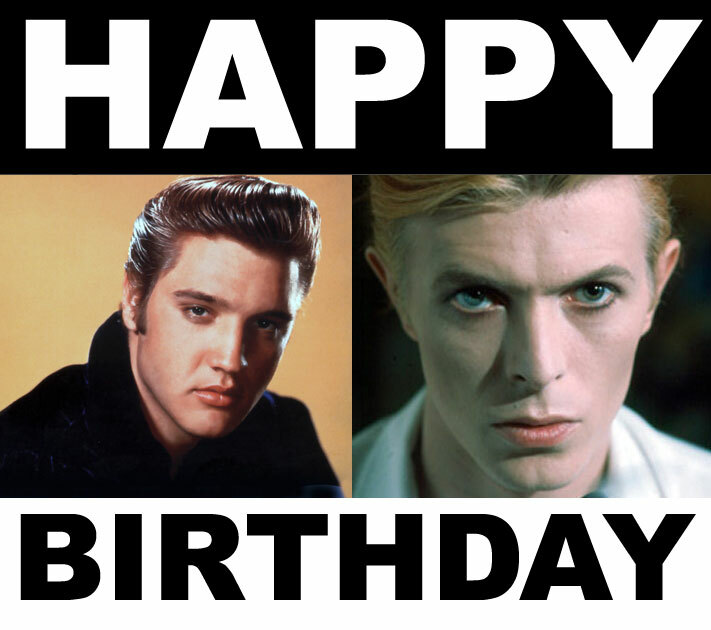 Happy birthday, David Bowie, pour out a little liquor for Elvis Presley.